Jacques Rossi is a Gulag survivor whose sentence lasted for over 24 years. 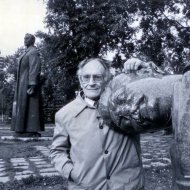 He is also the author of a monumental work, a comprehensive dictionary on the Soviet Union’s forced labor camp system. Special thanks to Amy Fienga and Kirk Briggs for their help with the English translation.